Android 4.4 KitKat has been out for a while but unfortunately not every android device has had the opportunity to get the update. Android 4.4 KitKat being the latest version of the android operating system, the OS is only available on a selected range of smartphones and most of these smartphones are high end flagships devices. 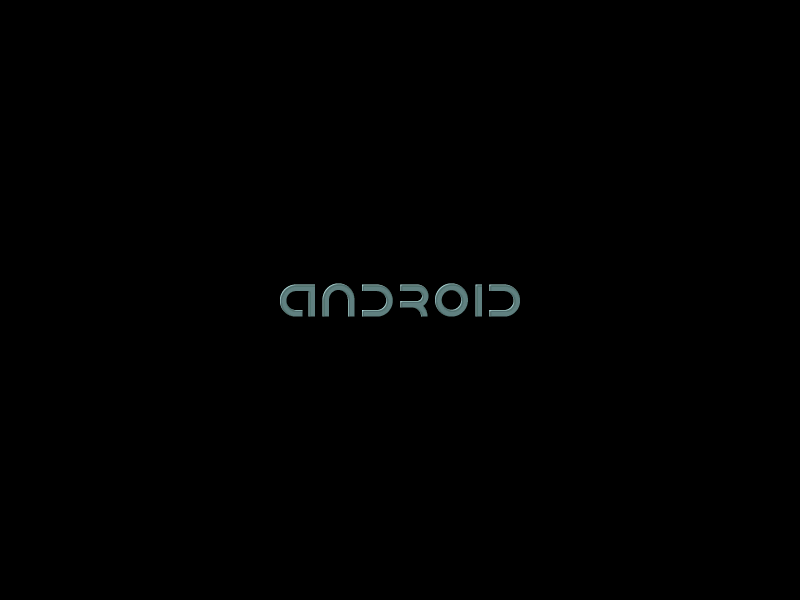 As usual, ROM developers have taken the opportunity to create custom Android 4.4 ROM’s for most of the popular android smartphones. While these custom ROM’s might allow you to experience Android 4.4 on your smartphone, but these ROM’s do come bundled with a lot of bugs. For those of you who don’t have an android device that supports android 4.4, you needn’t worry as you can still experience the awesomeness of android 4.4 KitKat on a Windows PC. Last year I did a similar guide for installing Android 4.3 on a windows computer through Virtualbox and now I am going to do the same for android 4.4 KitKat. So here’s what you will need for running Android 4.4 on a windows computer. 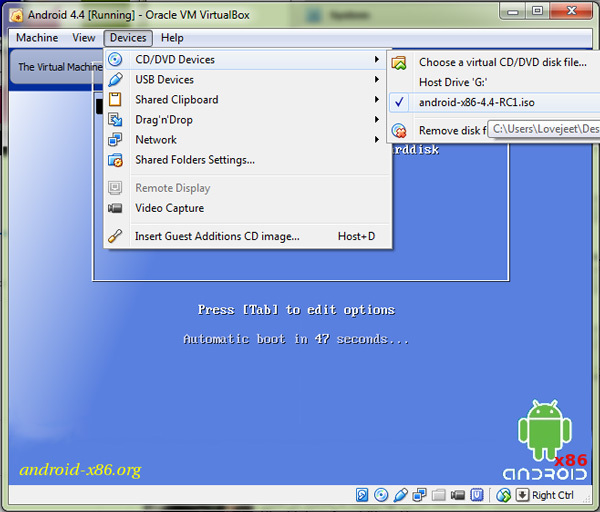 Once you have downloaded both of the above prerequisites, you can install VirtualBox on your PC and then follow the instructions below to install android 4.4 KitKat on windows. Note: This guide can be too long for some, for a quicker guide, check out the video guide at the bottom of this article. 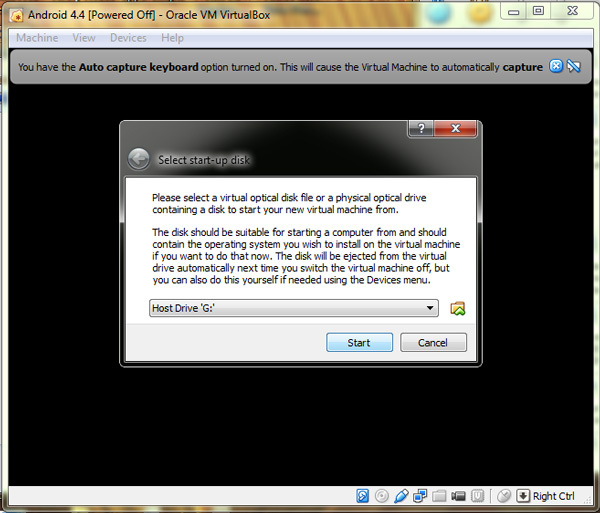 Step 1: Run Oracle VirtualBox. 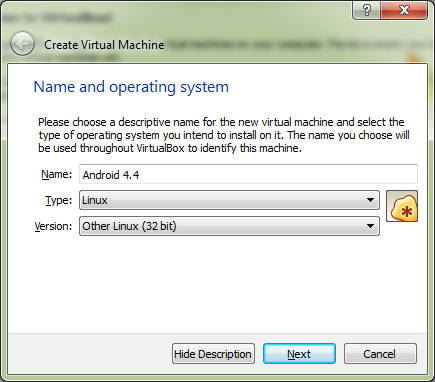 Step 3: Type in a name for the virtual box and select the settings as shown below. 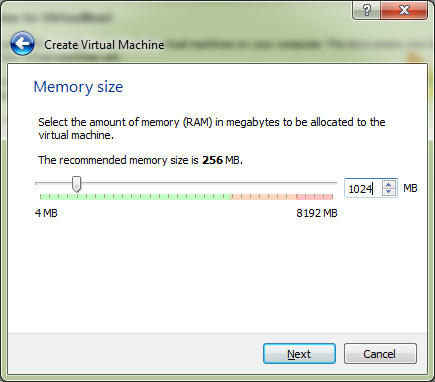 Step 4: Select a memory size. 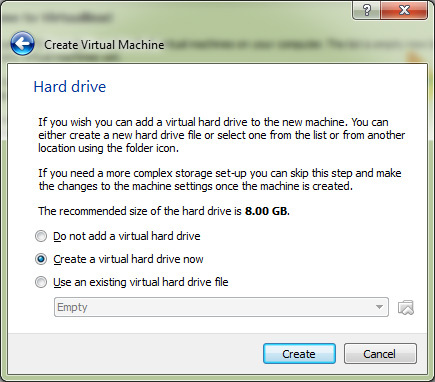 Step 5: Select Create a virtual hard drive. 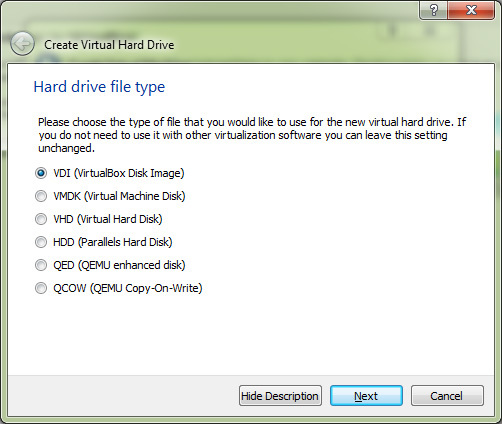 Step 6: Select VDI ( Virtualbox Disk Image ). Step 7: Select Fixed size for storage space. 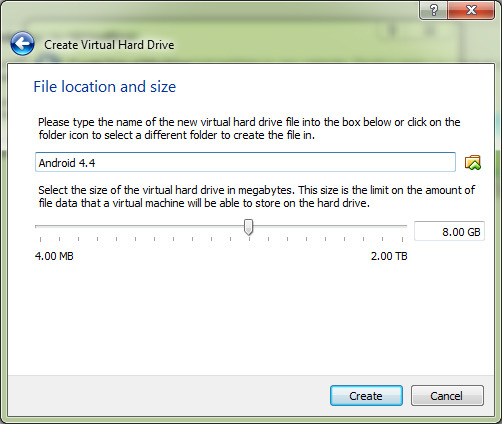 Step 8: Set the storage space for the VDI. 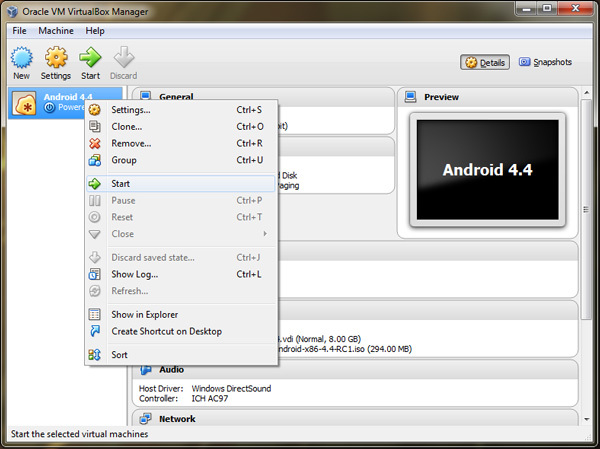 Step 9: Right click on Android 4.4 virtual machine and select Start. 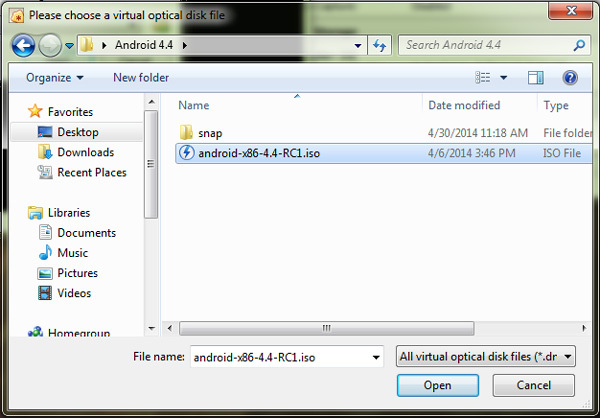 Step 10: When the Virtual machine starts, it will prompt you to select the Android 4.4 ISO image. 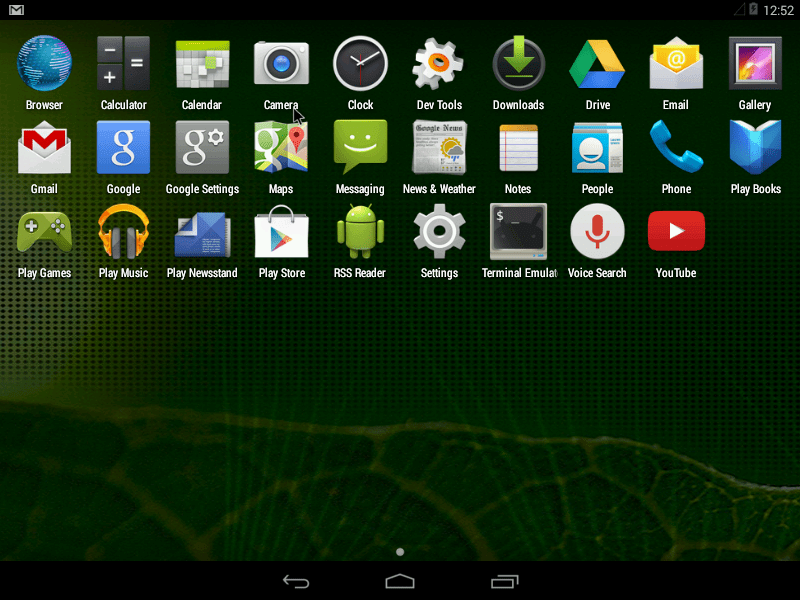 Step 11: Click on the small box icon and select the Android 4.4 ISO image and then Click on the Start button. 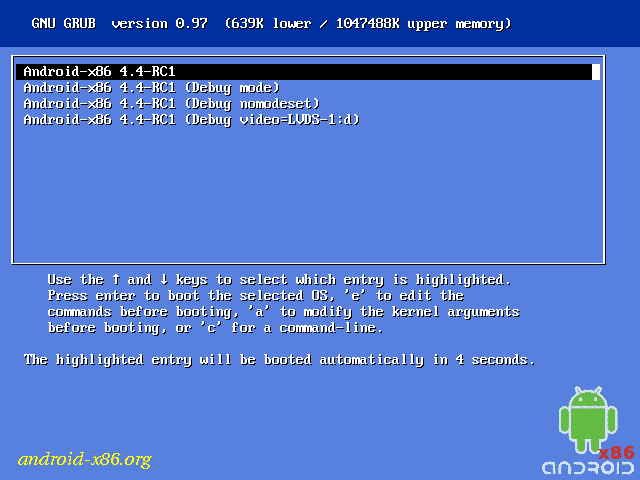 Step 12: Select Install Android -X86 to harddisk. 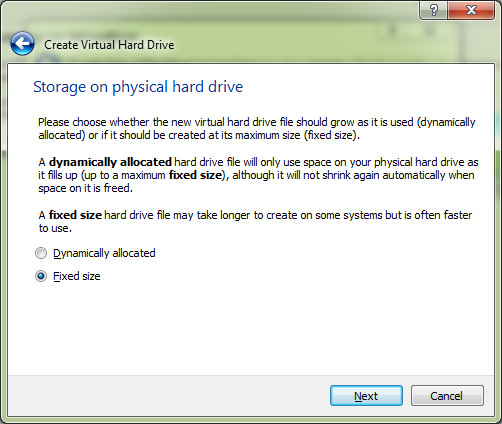 Step 13: Select Create / modify partitions. Step 16: Let the storage space be as it is and press enter. Step 18: Type “Yes” and then press enter. Step 19: Select Quit and press enter. 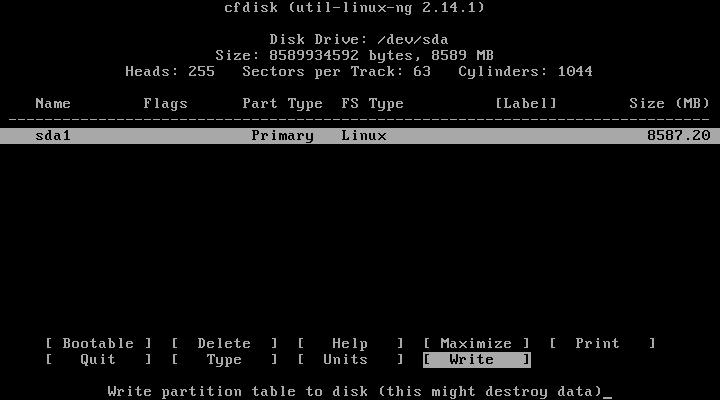 Step 20: Select the Sda1 linux partition and select OK. 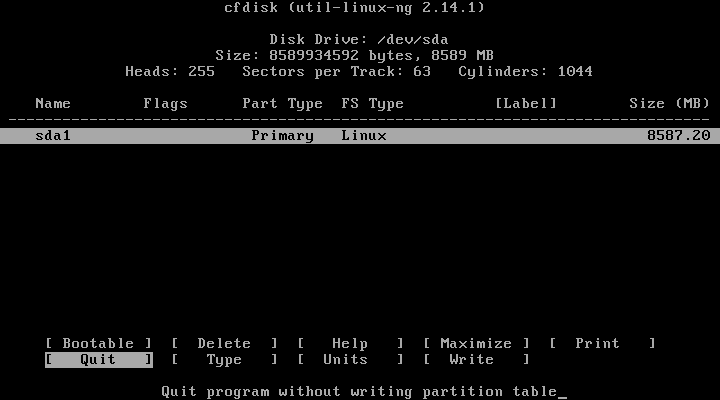 Step 21: Select ext3 filesystem. 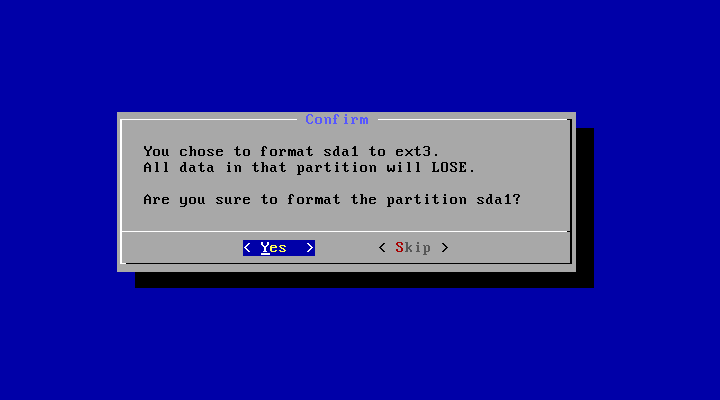 Step 22: Select Yes and press enter to format Sda1 to ext3 filesystem. 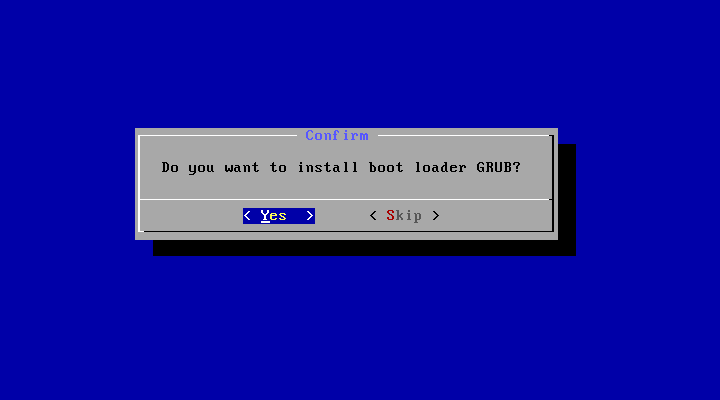 Step 23: Select Yes when prompted to install the Grub bootloader. 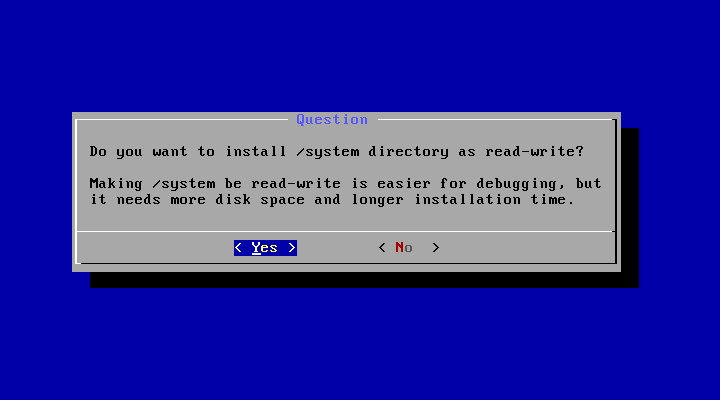 Step 24: Select Yes to make System directory as read-write enabled. 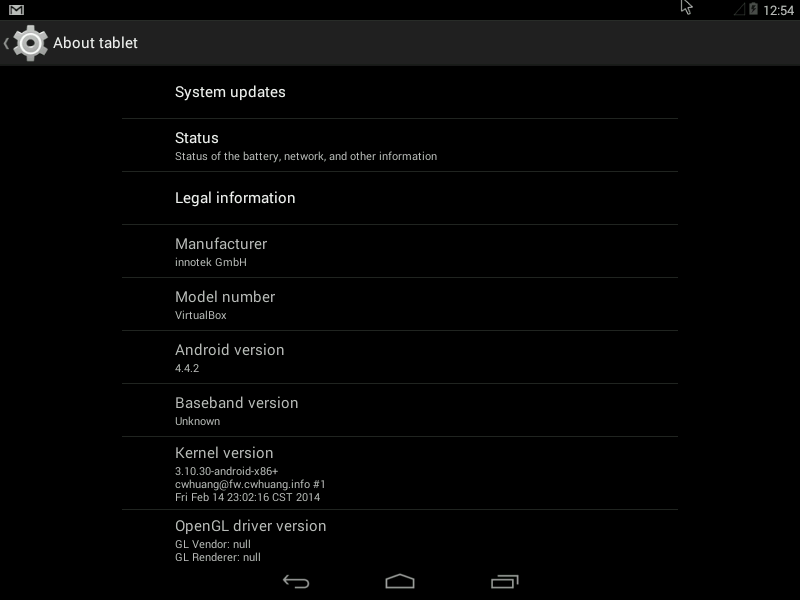 Step 25: Select Reboot when Android 4.4 KitKat is successfully installed. Step 27: Select Machine > Close and select Power off the machine and click on OK. 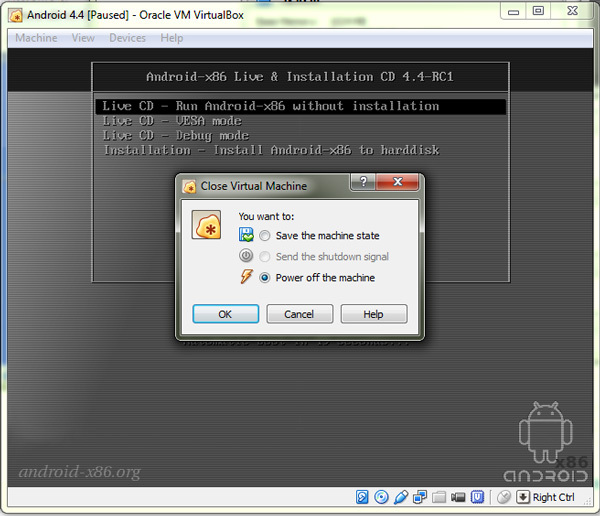 Step 28: Right click on the Android 4.4 virtual machine and selects Start. 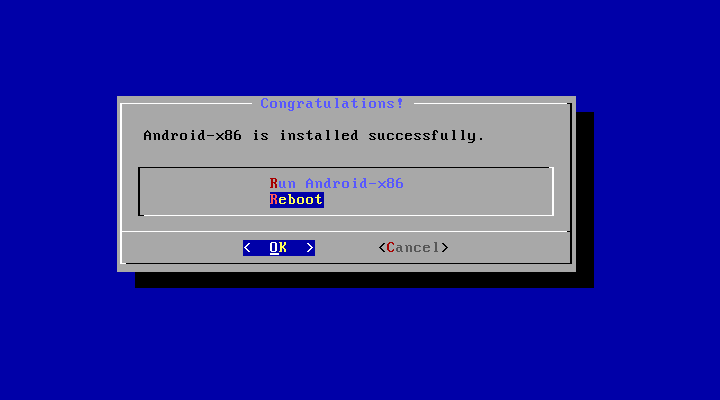 Step 29: Select Android-x86 4.4-RC1 and press enter. There you go Android 4.4 will start booting in the virtual machine. 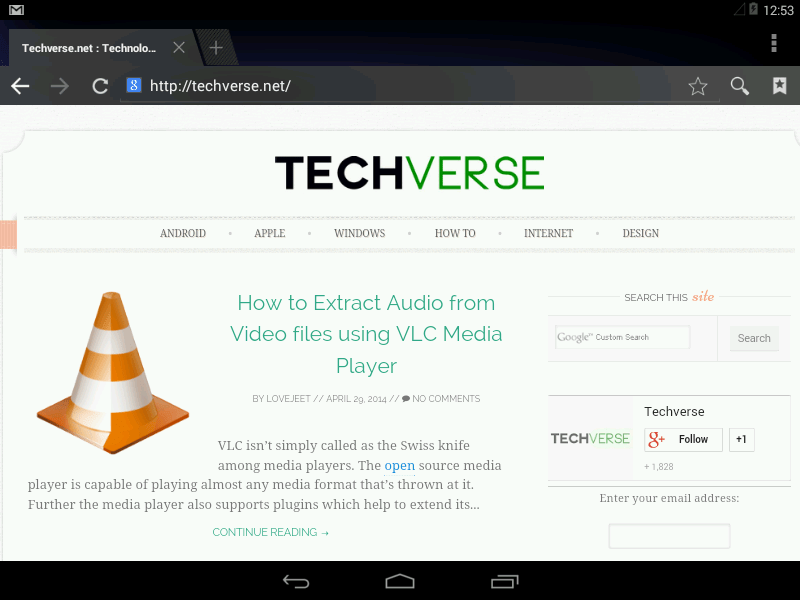 Enter all the details required and you should be able to use Android 4.4 KitKat on your windows PC. If you cant use your your mouse in the virtual machine, then you should click on Machine > Disable Mouse Integration and then click on the virtual machine. 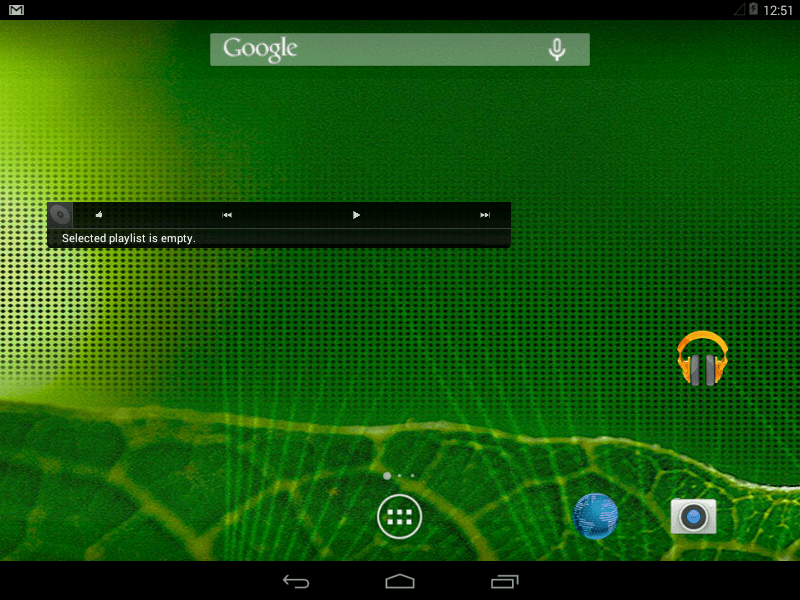 Here are some screenshots of Android 4.4 KitKat running on a virtual machine on my windows PC. Here’s a video guide with detailed instructions on setting up and running an android virtual machine on windows.